Each of Avital's creations is an endless work-in-progress in which new sounds or elements are blended with previous ones. 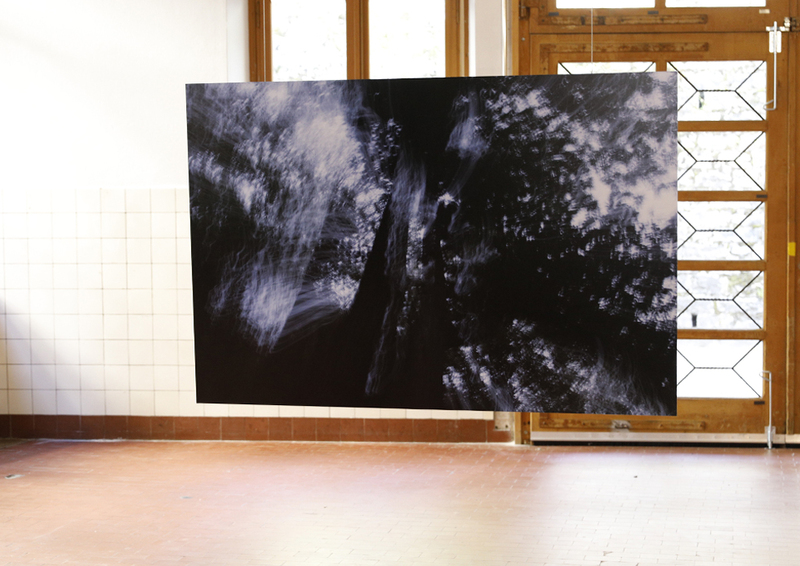 Lands is an evolution of Avital’s sound installation Fields, first presented as an open space sound installation in Piazza Vecchia and Giardino Tresoldi in Bergamo (2014), and later in Light & Building Fair in Frankfurt (2015) in collaboration with light designer Enzo Catellani and the loudspeakers designers Architettura Sonora. Witnessing Lands one can feel immersed in nature with the chirping of birds, insects and winds filling the air. But soon the perception changes. The bird songs are gradually replaced by uncanny imitations of mechanical reproductions of their sound; the word “land” starts echoing in many languages through computer voicing; wind becomes storm; and so it shifts backwards to nature and forward to the artificial, in a struggle to obtain a hint of lost beauty and pureness. At the same time, the artificial projects its own strange hybrid beauty, letting a constructed nature become a sonic sculpture of its own. Lands plays with nature, man and the artificial in a different way from its first version, Fields. In Lands, Man and Nature are shown to be in collision, and the artificial is the medium through which such collision is enhanced and manifested. The land’s local agricultural soil, enclosed in a circle, represents a delineated struggle between human and earth: on the one hand it shows and conveys the inevitability of our roots in nature, and on the other it reveals a struggle born out of men’s attempt to shape and rule nature. The thin line that separates “land” from “earth” is both physical and ideological in nature. A “land” is a plot of ground that men make theirs, delineating it, defining it, working it, hoping it to be their personal utopia. Its worship - not archaic but ancestral - engraves Man’s and men’s identity alike, charting the landscape for both individuals and countries, and bears witness to a struggle in which nature too reshapes and contaminates the artifi- cial with its visceral heart. The circled soil - both an arena and a misplaced utopia - is contoured by a ring of loudspeakers playing a complex polyphony of natural sounds, machines and human voices, creating numerous musical episodes which become a fresco of sonic allegorical scenes around the listener. As a marker of time and structure, the word “LAND” keeps materializing in different languages, recited with the robotic voice of Google Translate™. The different meanings the term takes on sketch a linguistic map that keeps being redrawn according to the ties holding together nations and citizens, man and earth. 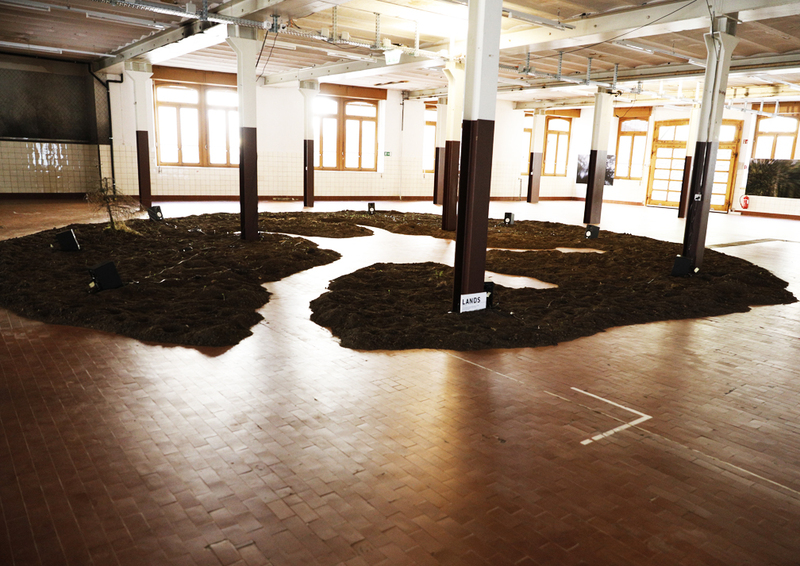 In this installation the equation carries the emblem of humans’ relation with nature. The public, while walking, sitting, lying down and even having a picnic on the land, creates individual paths of hearing and perception. 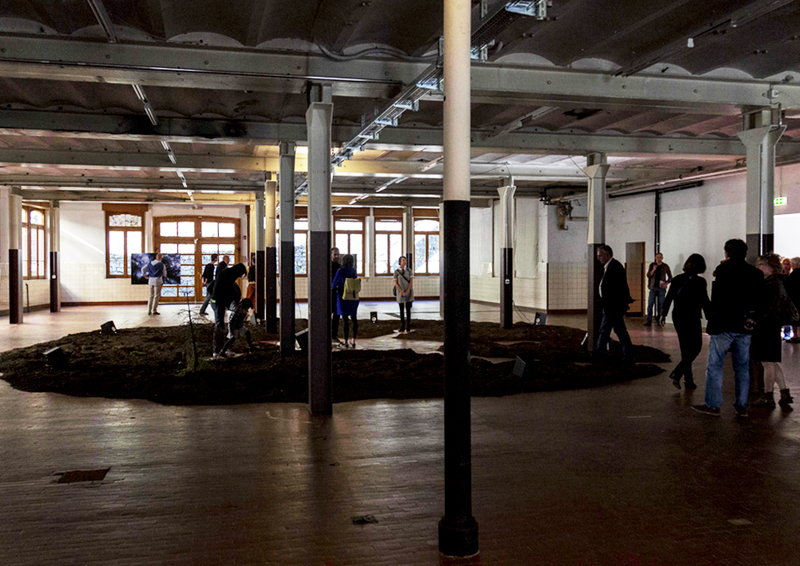 By being inside the work and therefore taking part in the sonic performance of Lands itself, visitors move from a denaturalized and threatening place to a Virgilian bucolic scene.